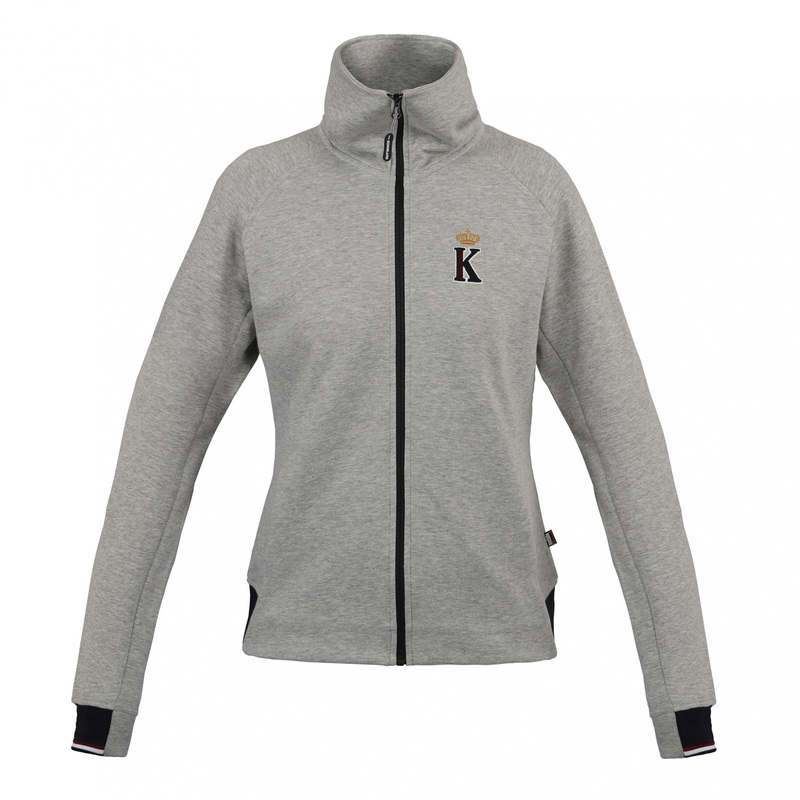 Ladies' sweat jacket with zip and stand-up collar. 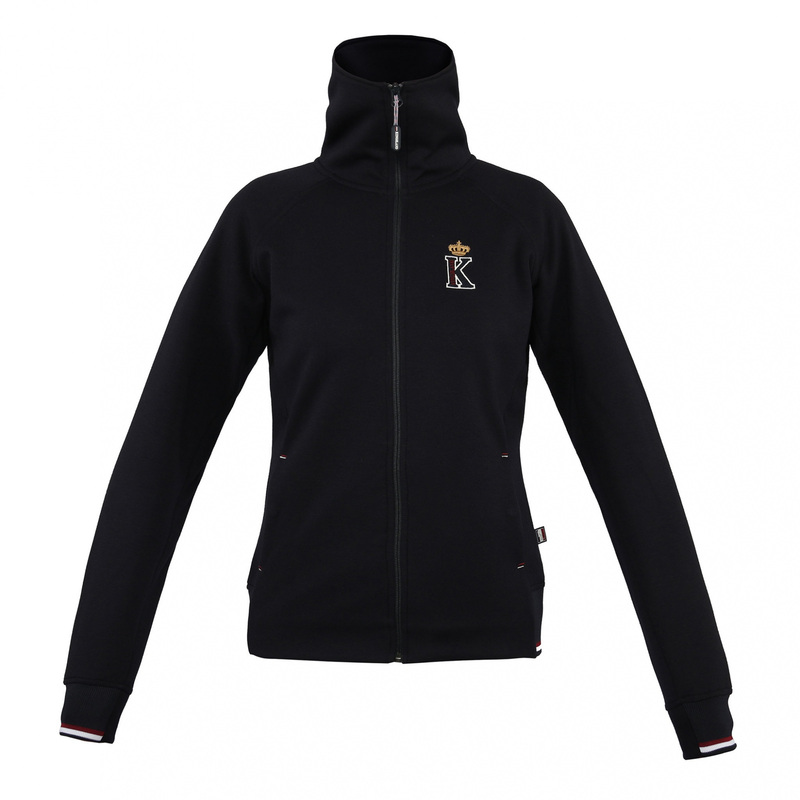 It is made of pill-resistant fabric. 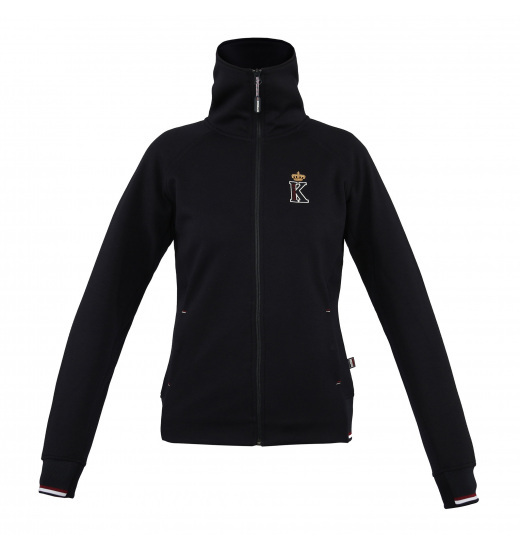 It has very nice, waisted feminine cut. 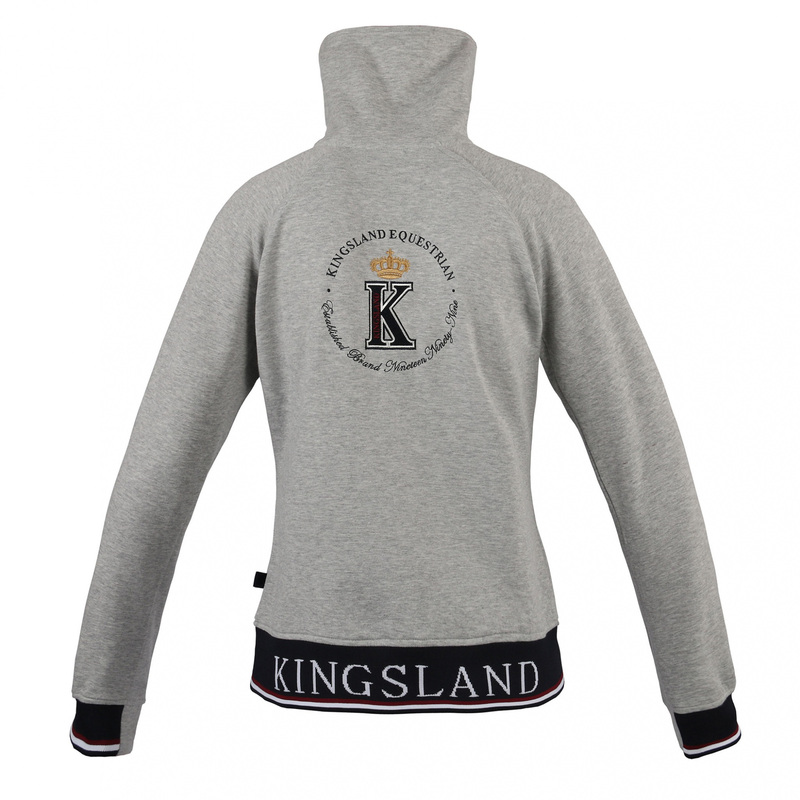 The jacket is decorated with wide waistband with Kingsland writing on the hips, embroidery on the chest and big logo on the back.